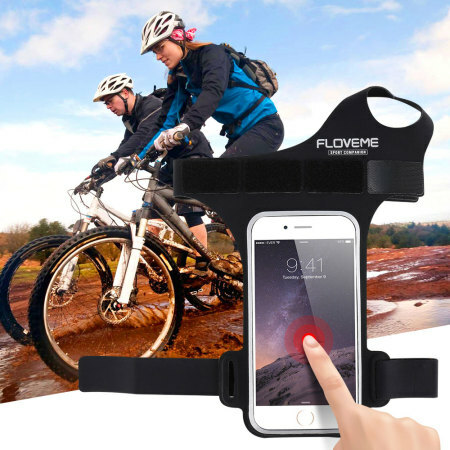 Carry your smartphone securely while you're exercising using the Floveme Armband for 4.7" smartphones. This comfortable armband is adjustable and made out of a lightweight and breathable material. 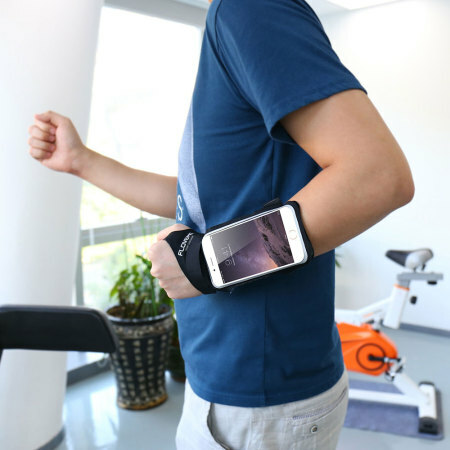 Made for smartphones up to 4.7"
This Floveme armband is built to survive the rigours of even the most intense workout regime. It has an adjustable strap with a secure hook and loop fastener that is super-flexible and can accommodate all kinds of arm shapes and sizes. 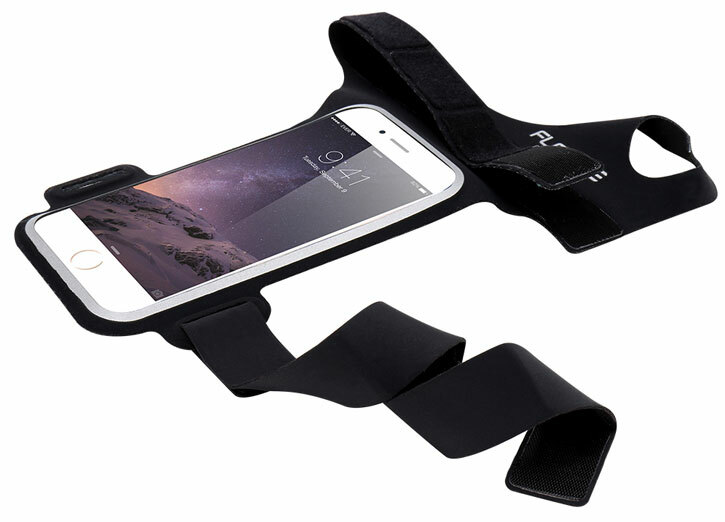 This armband is universal so it can accommodate various different medium-sized smartphones. 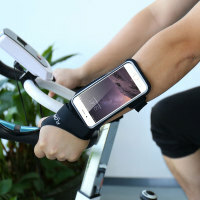 This armband from Floveme has been specially designed to accommodate any smartphone with a screen up to 4.7" in size. 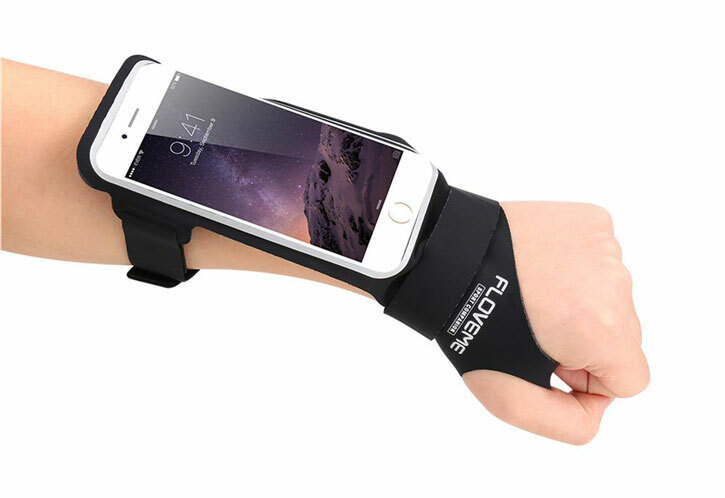 When in the armband, the whole of your smartphone is covered, so you don't have to worry about it falling out. The screen cover is made from a plastic material that allows you to operate your device's touchscreen, so you can access all your apps and control your music without having to stop to take the phone out of the armband. Tracking your steps on a fitness wearable or smartwatch? No worries - the protective screen cover on this armband won't impede your usage of any of this equipment, nor block signals. 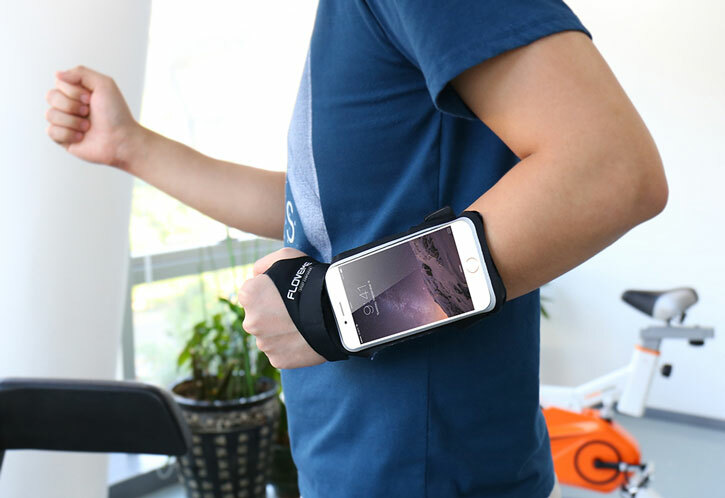 You're free to use your device exactly as you would normally, but with the added peace of mind this protective armband brings. This armband is constructed from lightweight, responsive materials which allow you to wear your device while barely feeling the weight. 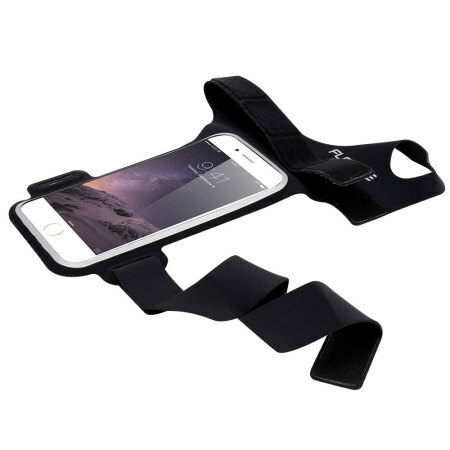 The neoprene and lycra construction of this armband also adds durability, as well as protection for your phone and supreme comfort to boot. 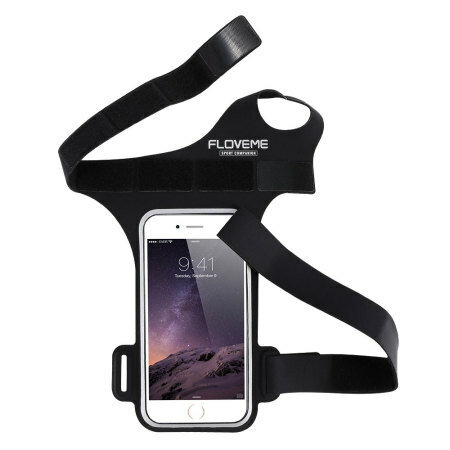 If there's an item you just can't be without when you exercise - be it keys, important cards, cash or anything else - Floveme has you covered. 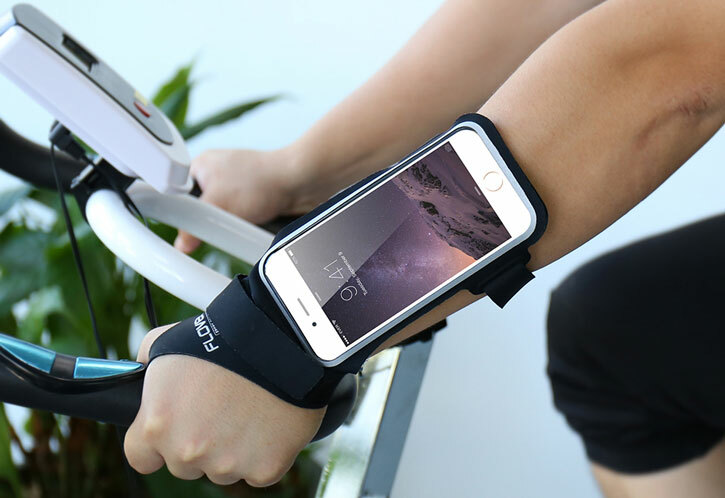 This armband has a discreet, spacious pouch which is perfect for holding anything you need when you're going running, cycling or embarking on any other form of exercise.